As the Journey enters the beginning of its second week, its time to take a look back at what the students were up to in week one! More than 220 students from over 45 countries, representing 50 disciplines, are beginning to embark on Europe’s largest climate change education programme – the Climate-KIC summer school. The five week-long course offers a unique combination of academic study and real-world business experience with the aim of creating the climate change leaders of tomorrow. For first time this year a shorter three-week edition of the Journey has been introduced, which will culminate in an international final in Bologna, Italy. Encompassing 13 locations across Europe, this year’s programme is Climate-KIC’s largest summer school and is divided into six separate groups. Students from each group will journey across two to three different European locations, gaining insight and experience from a selection of Europe’s best universities and most innovative businesses. It brings together students and young professionals all over the world. The first batch of summer school students will spend two weeks of the journey in Paris and Lund, before moving onto Valencia and Munich ahead of their finals in Wroclaw. The next five-week Journey groups will be kicking off in Hamburg and across the Netherlands on Sunday 24 July, whilst the three-week edition will begin in Zurich and Budapest on Sunday 17 July 2016. During the first two weeks the course focuses on providing students with information about climate change. The students attend lectures by some of the best global researchers and will meet with a variety of world-leading private companies and independent start-ups to learn about business opportunities deriving from climate change challenges. 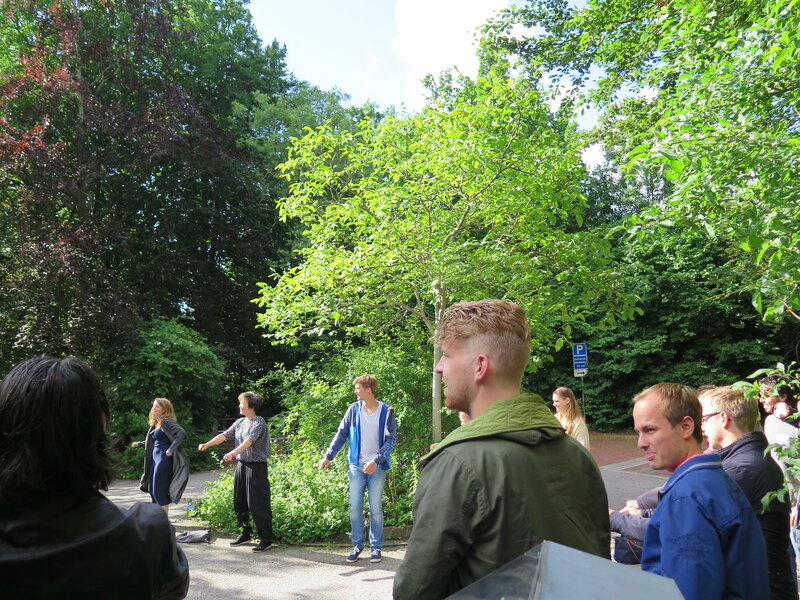 Journey students in Lund, Sweden visited the Helsingborg Industry Park of Sweden last week to learn about industrial symbiosis during their Sustainable Production Systems themed day. Meanwhile the students in Paris spent last Wednesday at the AgroParis Tech Farm to learn more about low carbon agriculture. #ClimateJourney16 has been making waves across social media this week – you’ll find a selection below.